A clever little radio that goes and goes! 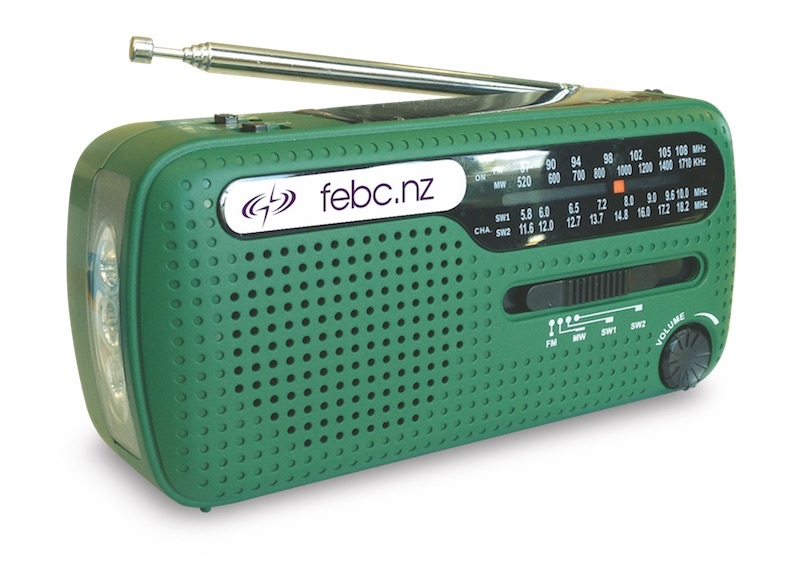 This AM/FM radio is small enough to fit in your hand, and big enough to receive a good signal. It’s clever because it’s battery powered, solar powered, wind-up crank powered, and USB powered! A powerful and versatile little unit. It has an LED torch/flashlight on the end, and a USB charging plug for your mobile phone* – now that’s clever! It even has an emergency beacon red light and siren, to attract attention in an emergency. These radios are the very ones we smuggle into North Korea, and distribute in several other parts of the world. They’re ideal for emergencies and just for everyday use. This clever little unit measures 13 cm long, 6 cm high, and 4.5 cm wide. *Mobile phone charging facility does not charge Apple devices. Sorry no pickups. Ships anywhere in New Zealand for $5 P&P. Postage for additional radios is charged at $4 each radio.